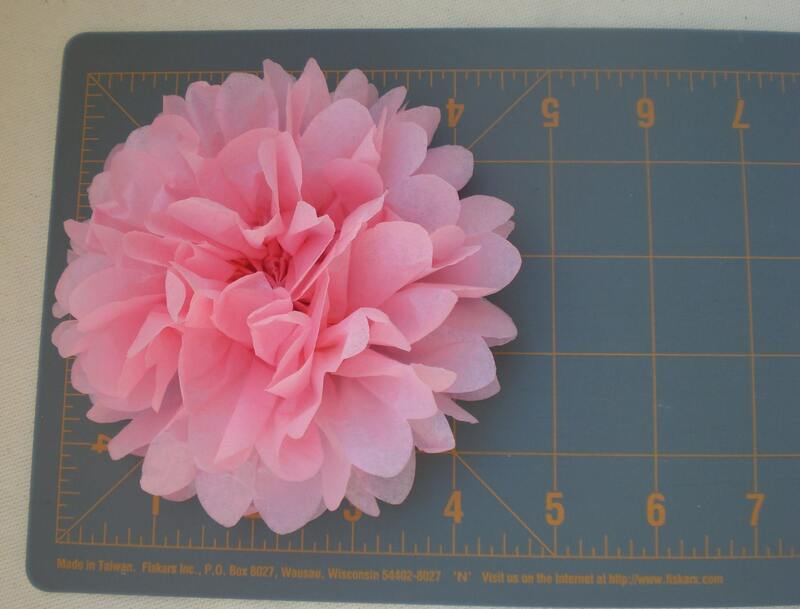 Each tissue paper flower is hand cut and folded and ready for you to open (last picture shows how flowers come). 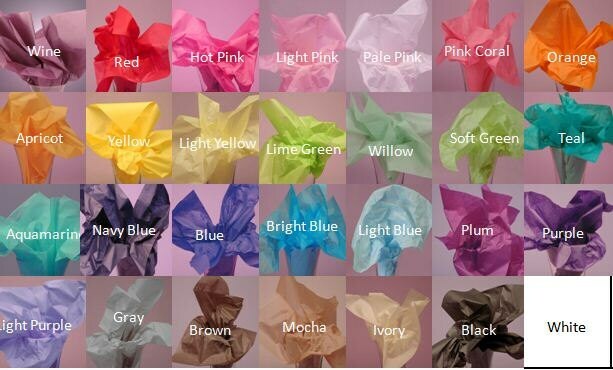 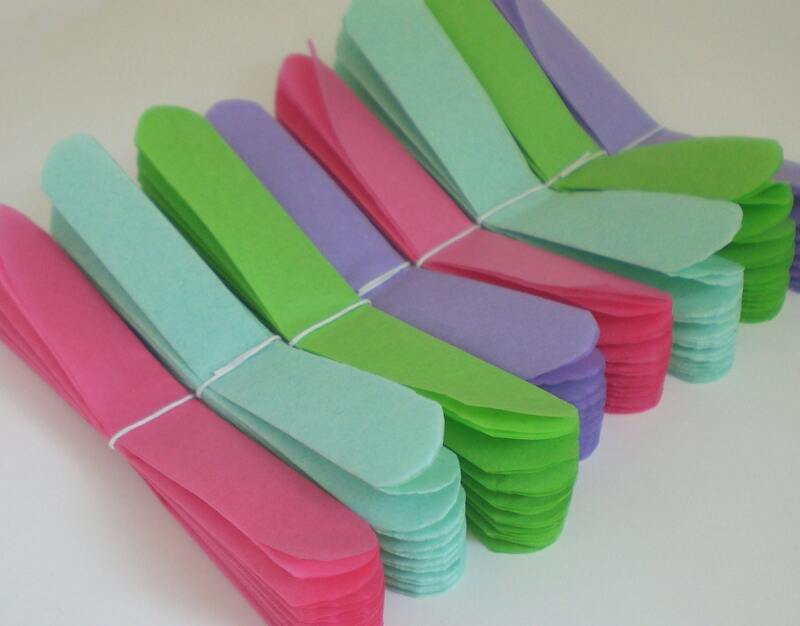 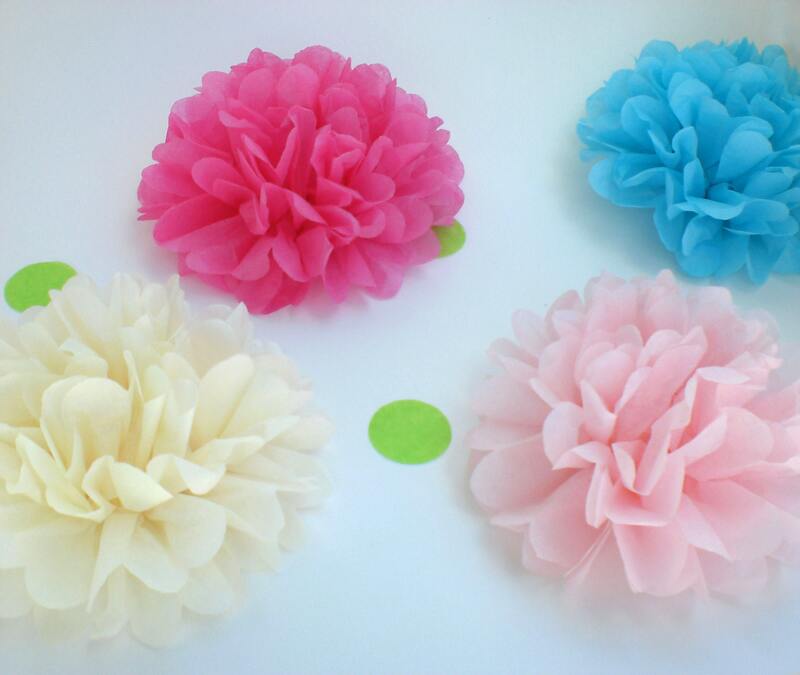 -40 Medium Tissue Paper Flowers in your choice of color. 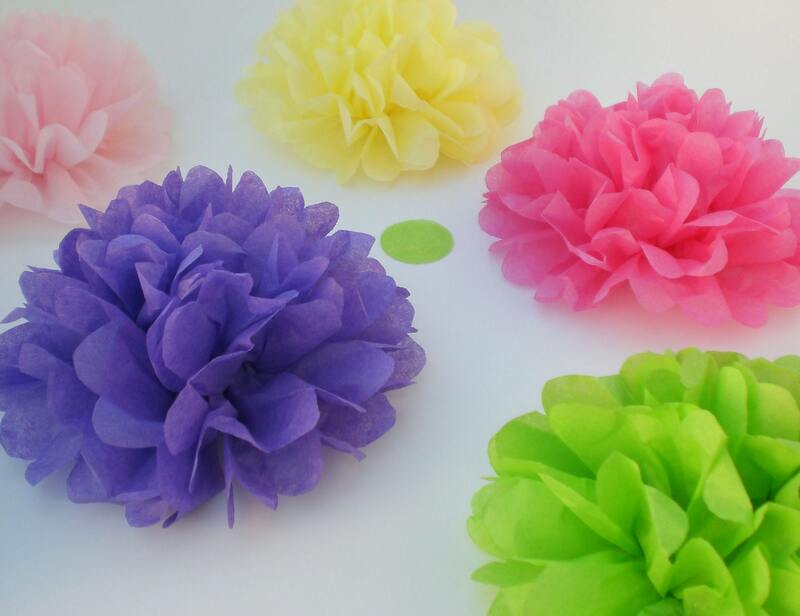 *Please indicate in "message to seller" if ribbon is desired and color choice of flowers.